The Christian Jewelry Shop website was created by us in 2007 to feature rings, wedding rings and pendants of interest to Christians. 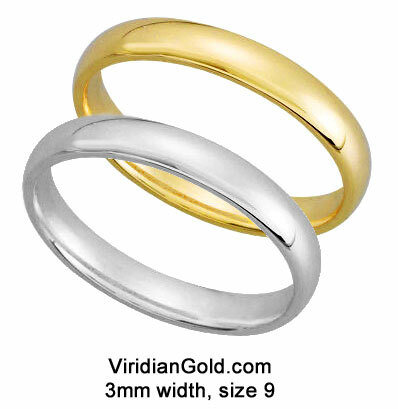 We have decided to close that site, and redesign ViridianGold.com, our main site created in 2005. Back then, our main site did not have much "religious jewelry" on it. However, over the years we have added all of the items that used to be on Christian Jewelry Shop, along with many more, in all price ranges, in our Faith and Family section. You will find many more Christian items now, such as our Sterling Silver, Ichthus Fish Ring, shown above, which carries the ancient symbol of early Christianity. 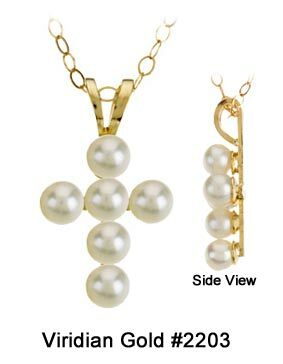 Other jewelry now available are numerous children's religious items, such as our Child's Pearl Cross Necklace, in yellow 14K gold, including a 15" gold chain (also available in white gold). 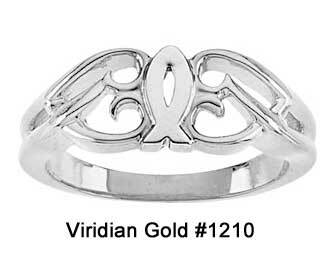 As always, you get free shipping, and you can have many items engraved, as well has have our rings custom sized to your specifications. 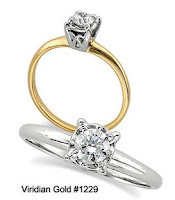 In addition, many of our Wedding Ring Sets offer discounts when two or three rings are purchased together. Please visit our newly re-designed site, ViridianGold.com and let us know what you think!